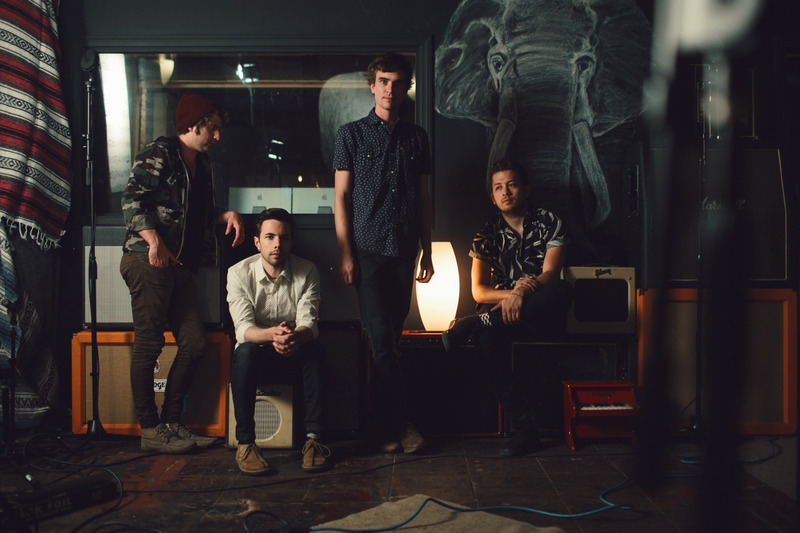 If the effervescent modern pop band Wild Party has a defining characteristic, it's passion. On their debut album, Phantom Pop, sugary synths buzz around kicky rock guitars and upbeat rhythms, taking the form of summery power-pop ("Take My Advice," the keyboard-sprinkled “Out Right”), breezy soul-rock ("Chasin' Honey," “When I Get Older”) and high-stepping indie-pop ("Violet"). Bands such as the Killers, the Strokes, Rooney and Two Door Cinema Club are certainly touchstones—as are Phoenix and the Format, two favorites of frontman Lincoln Kreifels—although Wild Party aren't beholden to any one influence or genre. "We want to write fun, happy songs that people can dance to, with lyrics that people can relate to," Kreifels says. "We really appreciate all types of music—we just want to make uplifting music, whether it’s pop-rock, power-pop or indie or folk. We just want people to smile while they’re listening to our music. That’s the main thing." Kreifels and the rest of Wild Party—guitarist Lucas Hughes, bassist Ethan Kaufmann and drummer Cary LaScala —come by their optimism honestly, mainly because they've had years to develop their sound. Kreifels and Hughes became best friends in seventh grade, bonding over classic rock and indie bands and goofing around via low-key musical experiments. These things were definitely casual. "I always kinda wanted to be in his screamo and metal bands, but I didn’t play an instrument—and I didn’t really know I could sing at the time, either," Kreifels recalls. "I sang for fun, but I didn’t know I was a singer." Right after graduating high school in 2008, however, something clicked within him—and suddenly the pair found that their musical collaborations were turning into something more promising, and Wild Party was born. "We would write songs, but wouldn’t be that serious about them, because we didn’t think they were that good," Kreifels says. "They were more, like, comical to us. But then we wrote that first Wild Party song and were like, ‘Wait a second. This is actually pretty good.’ We just realized we can do this." That particular song, "New Light," means a lot to Kreifels. Despite his self-proclaimed optimism, the song developed during a time when he was away at college in Oklahoma, missing family and friends and struggling to find his place in the world. "I was trying to find people that like music like I did, and was having trouble," he says. "Lucas and I have such a unique bond, it's not an easy to thing to duplicate." Those moments of emotional longing and deep soul-searching (as well as the occasional melancholic turn of phrase) add extra nuance to Phantom Pop, and make Wild Party's celebration of life's happier times feel that much sweeter. Of course, it also helps that Kreifels and Hughes have also found two solid collaborators in Kaufmann (who also produced Phantom Pop) and LaScala. With this lineup locked and loaded, Wild Party is poised to build on past milestones—such as opening for the Wombats in the U.K.—with more touring. They're certainly getting there; after all, at this year's SXSW, they played a whopping 12 shows. But with their musical talent and unstoppable positive attitude, the sky's the limit for Wild Party. "The tours keep getting better, just because I feel more comfortable and more confident with our performances," Kreifels says. "We’re very genuine and honest with our music and sincere with what we play. We’re not trying to be like somebody else, or trying to do something because we think it’s cool. We just love music."